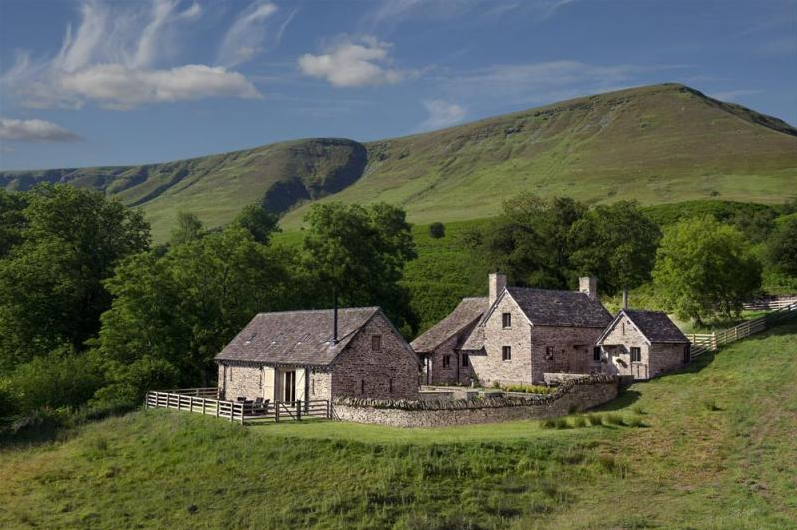 You couldn't ask for much more of a secluded spot than this, hidden away in the mountains with the dramatic Hay Bluff rising up in the background. The chic stone house and barn conversion sleep ten, while the house on its own sleeps six. One of the best things about this property is the countryside spreading out in all directions, and there's no better spot from which to gaze out than from the comfort of the private hot tub. Inside you'll find flagstone floors, an open fire, a huge antique dining table and an AGA, while the barn boasts oak surfaces, woodburning stove, underfloor heating and a slipper shaped claw-foot bath. 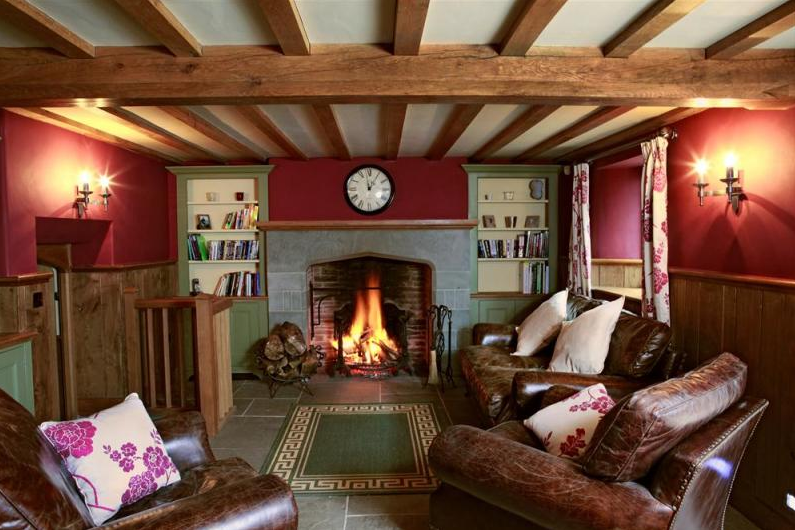 Cae Marchog has been restored with great attention to detail - the owner has made sure to use only local stone, reclaimed stone tiles and a traditional oak cruck frame, while the underfloor heating comes courtesy of a ground-source heat pump. 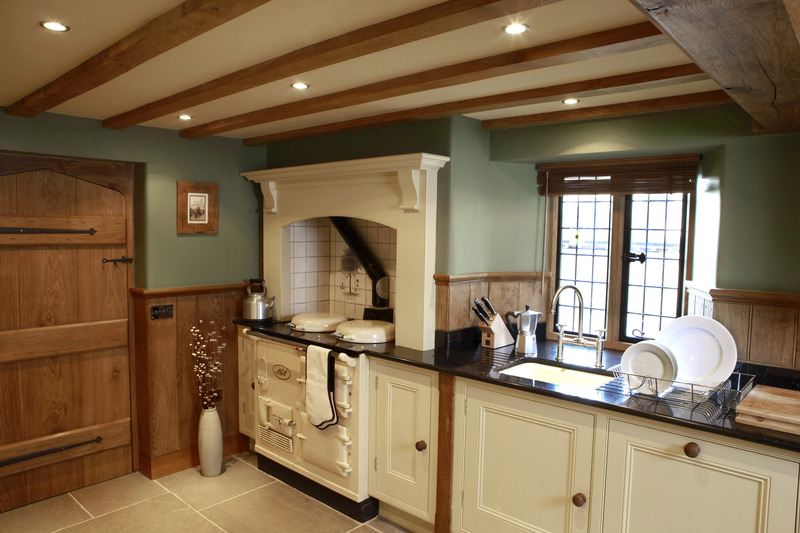 Combine the AGA with the open fires and you're sure to stay warm and cosy, even in the winter. Not that you'd want to spend all your time indoors. You've got the incredible Gospel Pass on your doorstep, as well as some of the best cycle routes in the region. You'll also be just a short distance from the Three Rivers Ride, which passes from Wales into England. There's just as much scope for horse riding, and the property even has its own paddock, so guests are welcome to being their own horse or pony.